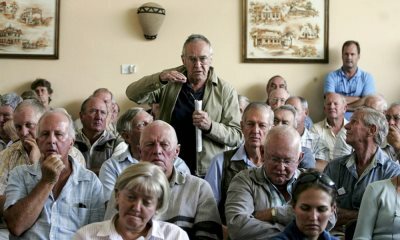 AFRICANGLOBE – Zimbabwe is to start paying reparations this year to thousands of white farmers who lost land under former president Robert Mugabe’s land reform nearly two decades ago, the government said, as it seeks to bring closure to a highly divisive issue. President Emmerson Mnangagwa’s government sees the paying of compensation to white farmers as key to appease the West (white countries), and set aside $17.5 million in this year’s budget to that end. The initial payments will target those in financial distress, while full compensation will be paid later. The government, which maintains it will only pay compensation for infrastructure and improvements on farms and not for the land, is talking to international financial institutions on options to borrow the full amount to pay farmers. Colonialists seized some of the best agricultural land and much of it remained in the hands of white farmers after independence in 1980, while many native Africans were landless.